Valentine lunch box notes are the best way to send a little love to your child during the school day during the month of September. I have a love/hate relationship with Valentine’s Day. My birthday is just days after Valentine’s Day, so both holidays kind of get lumped together. Which is fine. I mean Valentine’s Day isn’t really for those of us who have been married for 472 years, right? It really is fine now that we have kids. They are our valentines now. Whether you love Valentine’s Day or hate it, it is a great time to really show your child that you love her. And if you live in the Northern US like I do, you need something to cheer you up now that Christmas is over, but winter is not. Seriously, February is the worst. I’m cringing just thinking about it. As I write this, it is the day after Christmas, which means that I am done with winter. As of today. If you’ve got Spring fever, these cute lunch notes should cheer you up. They’ll cheer your kids up at least. These lunch box notes have motivational and encouraging messages, funny Valentine’s Day jokes for kids and love notes to remind your child while she’s at school of how much you care. Find more kid-friendly jokes here. 1. What did one volcano say to the other? I lava you! 2. Why did the bee get married? Because she found her honey! 3. Why did the boy put candy under his pillow? Because he wanted sweet dreams! 4. 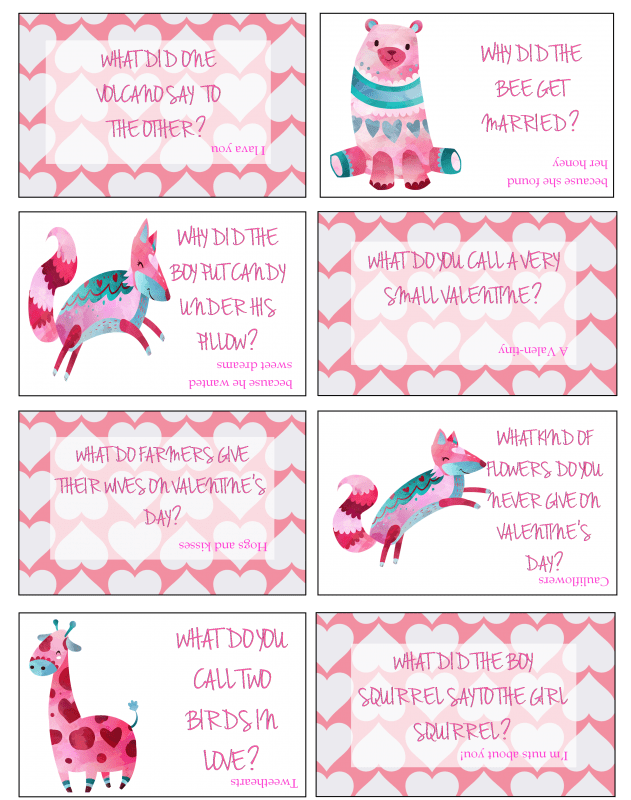 What do you call a very small valentine? 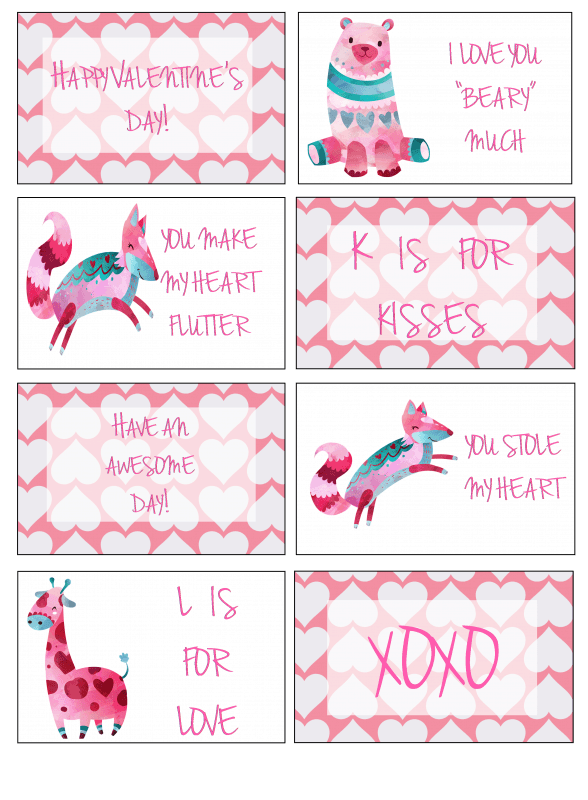 A valen-tiny! 5. What do farmers give their wives for Valentine’s Day? Hogs and kisses! 6. What kind of flowers do you never give on Valentine’s Day? Cauliflowers! 7. What do you call two birds in love? Tweethearts! 8. What did the boy squirrel say to the girl squirrel? I’m nuts about you! My daughter loves getting Valentines from her classmates, and I’m sure yours does too. So why not print these notes to put in your child’s lunch box and make every day of February special? 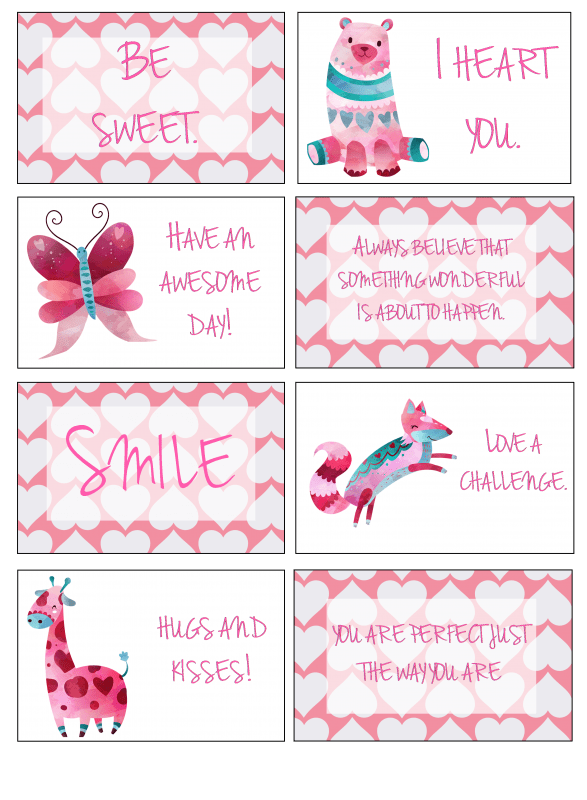 Download your free Valentine lunch box notes! And check out my Emoji Valentines or Squishy Valentine Cards. Enjoy and don’t forget to pin it if you can’t print it! When Does Breastfeeding Get Easier, Faster And Less Painful?